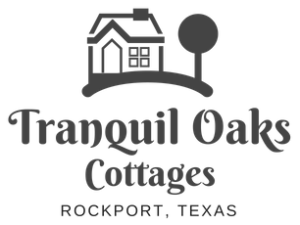 Uniquely nestled in Rockport Texas, Tranquil Oaks Cottages is perfect for family vacations, weekend getaways or to just enjoy all the Gulf Coast has to offer. We have boat parking beside each cabin and we are only minutes away from Estes Flats, Conn Brown Harbor, and Redfish Bay. Our cottages offer a relaxed and welcoming environment perfect for a weekend getaway for two or family vacation. All our cottages are a home away from home, full of all the amenities you need to kick back and relax. The charming fishing village of Rockport has been a favorite coastal hideaway for Texans since the 1800's.